Buy 1 for $26.56Buy 2 / Save $1.42!Buy 3 / Save $5.31! Raspberry Leaf tea may assist the body in the maintenance of healthy female systems. Its long history of safe human consumption is evident over thousands of years of use by women in Europe and North America to help support the body's management of normal reproductive processes. Infusions of raspberry leaf have been traditionally used as a bodily aid by women of the Cherokee, Iroquois and Mohawk nations of North America. 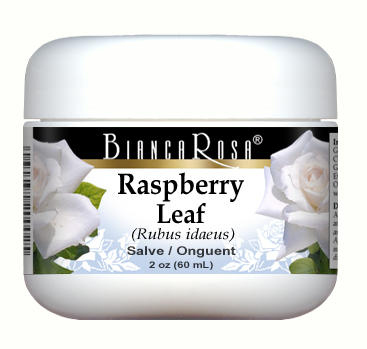 Apply Bianca Rosa salve / ointment morning and evenings, or as directed by a health care practitioner. On a moist cotton wool pad or with the fingertips, apply to the desired area of the body. Massage onto thoroughly cleansed skin with a gentle circular motion.